La Condesa Taqueria is un poco más grande, a little bit bigger, as they open their doors to their cantina, offering up an extended menu with tacos, tostadas, and quesadillas, a great range of Mexican and craft beers, tequila cocktails, and great service. Taco de camote: Sweet potato, corn, onion, corriander, chipotle aioli. Last night I got to sample the Taco de camote, pictured above: Sweet potato, corn, onion, corriander, chipotle aioli; delicioso! Taking inspiration from the cantinas and bars of Mexico City's most famous suburb, La Condesa, they serve dishes inspired by the modern Mexico City food scene. Tacos, tostadas and ceviche all play a heavy part in the rich food and drink culture of La Condesa. 100% Agave Tequila here, with house made sangrita and verdita. Mezcals are served with orange and spiced salt. Cocktails are very important to the night life in La Condesa; and Fitzroy's version use only the freshest ingredients, including house made syrups, shrubs, infusions, and fresh pressed juices. 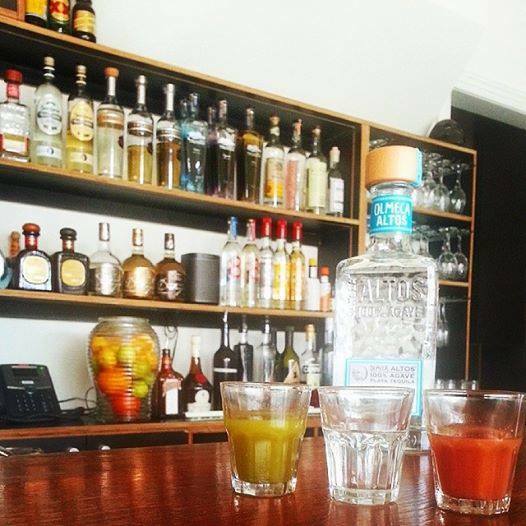 At La Condesa, all of their tequilas are served with a verdita and a sangrita; this is a common way to serve tequila in Mexico City, and is known as a bandera, or "flag", as it takes in the colours of the Mexican national flag. Ask the serving crew to recommend a tequila to go with your tacos the next time you go to La Condesa. 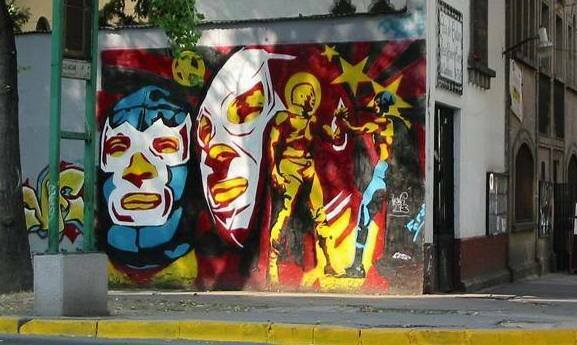 Check out this piece of street art in La Condesa, Mexico City. Just one example of why they like to consider Fitzroy and La Condesa "barrios hermanos", or "sister suburbs". Whatever the season, head to Fitzroy's La Condesa and enjoy a beer or tequila (¿por qué no los dos?) and some tacos. La Condesa Cantina is available for booking of groups of four and up.